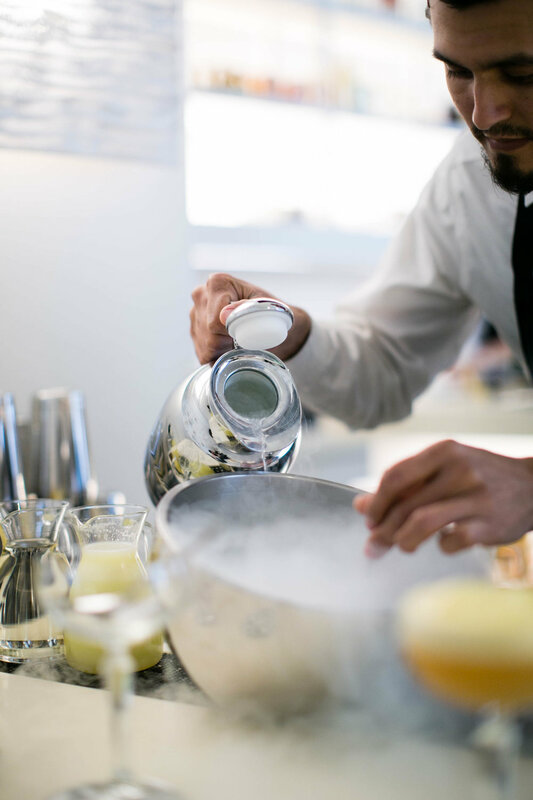 Miguel Lancha, Cocktail Innovator at restaurateur Jose Andres’ Washington D.C. hotspot barmini, began his bartending career slinging drinks between clubs, restaurants, and lounges in Madrid long before the craft cocktail revolution. Now heralded in the liquor world for his showstopping, avant garde creations, Lancha credits his success in America to an incidental meeting with his mentor, renowned spirits authority and educator Steve Olson. Growing up, Lancha called many areas of Spain home. Bartending provided an anchor for him as he moved from city to city. According to Spanish societal standards of the time, bartending was seen more as a job and less as a profession. “Bartending was kind of a match for me. But in Spain the bartending community didn’t exist. We didn’t think you could even be a professional doing this,” Lancha says. He looked to the rest of Europe, and London specifically, where new, innovative bars seemed to be popping up daily. Forming a kinship with his growing collection of London friends, he took a more studied, serious approach to drinks and hospitality. Lancha also heard of exciting new bar ventures across the Atlantic, in New York. Cocktail bars like Milk and Honey were quietly reviving cocktail culture with fresh ingredients and esoteric spirits. Bartenders were developing encyclopedic know-hows of classic drinks and techniques. Miguel wanted in. Right around then, the giant premium beverage conglomerate Diageo, which owns Tanqueray, Smirnoff, and a cadre of other well-known brands, toured Spain with respected American spirits authorities. Lancha seized the opportunity to join the tour, volunteering to act as liaison and translator between his increasingly international network and the tiny Spanish bar community. It was here he met Dale Degroff and Steve Olson, founders of the Bar 5-Day program. The Bar 5-Day is an intensive educational and tasting study into spirits that is notoriously not for the weak-willed. Olson invited Lancha to partake in the program later that year in New York, and he accepted. Olson’s word was enough to convince Lancha. 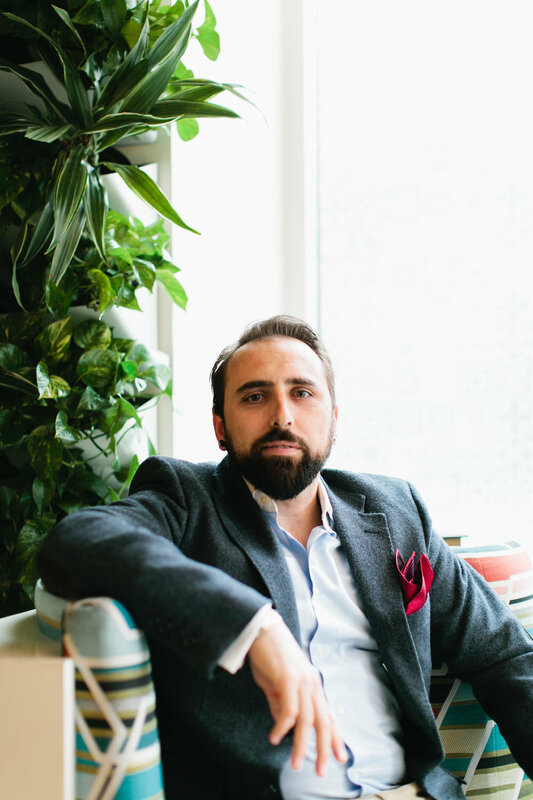 He moved to Washington D.C. and took over the bar program at barmini, a sleek and deceptively minimal space within the Michelin-starred minibar restaurant. From its inception, barmini pushed the boundaries and conventions of what one might expect of a cocktail bar. It has since developed a reputation as an exciting and engaging bar providing an unparalleled experience. Lancha replaced Juan Coronado, a veteran of the bar world who laid the foundation for the program. Lancha now oversees a massive team of bartenders across properties in several cities, ensuring new properties maintain the same set of standards set by his home base in Washington D.C.. Lancha expresses gratitude for the fact that he was handed the torch to lead such a wide network of phenomenal bars and talented people. Lancha pays homage to Coronado’s established bar program, but that doesn’t mean he’s content to idle. His natural inclination to lead a tight ship affords him the time to focus on experimentation. He makes his mission very clear: innovate, innovate, innovate. 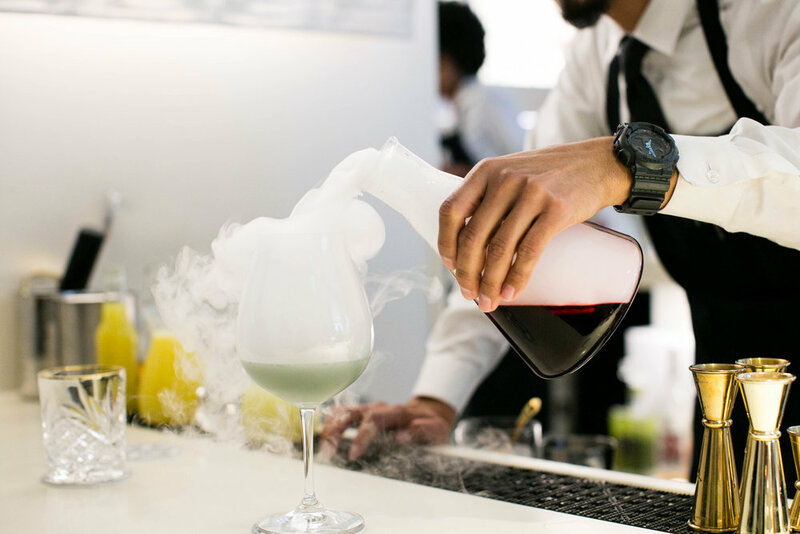 The bar enjoys many tools typically found in advanced kitchens, from ISI bottles used to create flavored foams and rapidly infuse cocktails, to dry ice for aromatizing clouds, to preparing entire cocktails sous vide. Another tactic borrowed from the kitchen is the employment of a full-time expediter, who doesn’t garnish cocktails as much as executes them (see, for example: the liquid nitrogen-fueled frozen Caipirinha). Knowing how to identify a broad range of tastes helps when your cocktail menu runs about a hundred drinks long. One of barmini’s signature offerings is a cocktail flight that features sample versions of six of their most innovative cocktails, with a focus on texture. One minute you’ll be enjoying a cocktail topped with creamy passionfruit foam, and the next, a spoonful of a Mojito suspended within a gelatinous sphere. 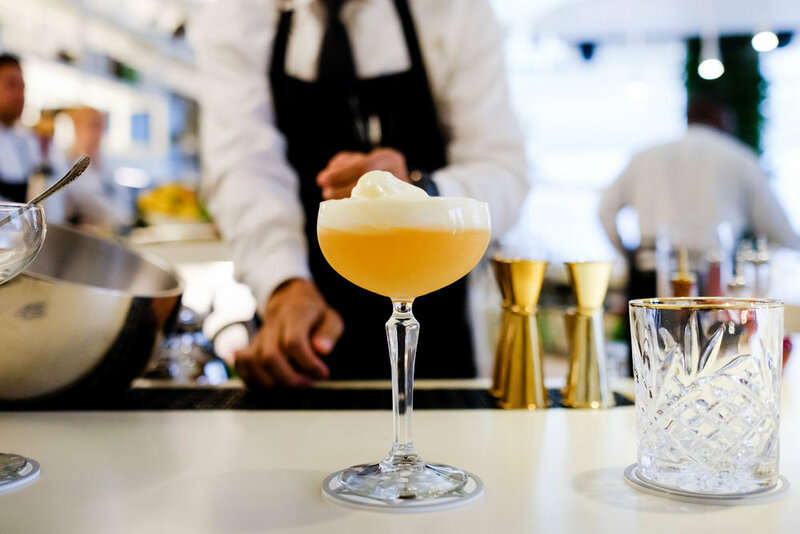 While the vast majority of the menu is comprised of original barmini creations, the inspiration for many of the drinks are rooted in the classics. Every drink does not necessarily call for a theatrical presentation, however Lancha tends to throw some exciting and unexpected curveballs into the mix. You can order an obscure cocktail like the Blinker and your bartender won’t bat an eye, but don’t be surprised when you pick up on that dash of aromatic elderflower that’s been worked into the recipe.